A massive test of self-defense ammo with ballistic gelatin and a treasure trove of data for shooters. 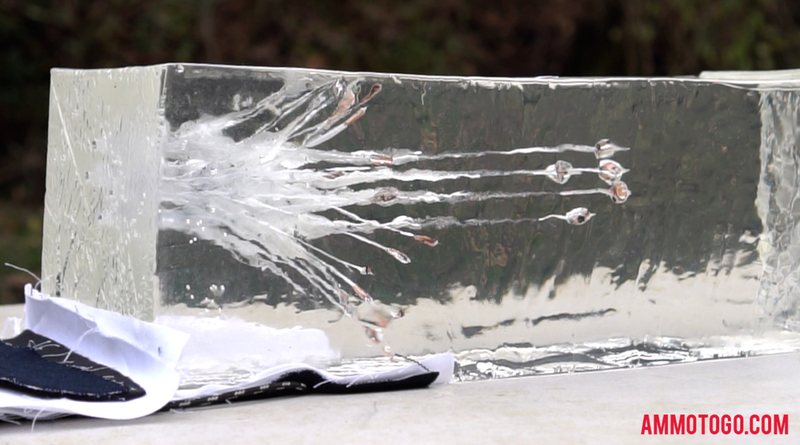 The AmmoToGo.com team tests 143 different handgun loads through a 4-layer barrier into ballistic gelatin. Enjoy the treasure trove of data and see how each round compared under identical testing conditions to other ammunition options. Welcome to the AmmoToGo.com Self Defense Ballistic Test – our effort to give you a ton of data to help you determine the best self defense ammo for your needs. What is ballistic testing? Well, ballistics is essentially the study of how a bullet performs under different circumstances. A bullet’s trajectory, speed, and terminal ballistics can all be measured and studied. We tested our lineup of hollow point ammunition, which includes 143 different loads, covering five of the most popular calibers – 9mm, .45 ACP, .40 S&W, .380 Auto, 357 Magnum (added on 9/19/2018), and 38 Special (added on 10/17/18). We then analyzed and compared the data against the set of performance standards used by the Federal Bureau of Investigation as a resource for you to use when shopping for and considering self defense ammo. It is always best to familiarize yourself with and be prepared with the ammunition you plan to use. You don’t ever want to be caught off guard with unfamiliar ammo. When it comes to picking a self defense round to trust your life with why would you ever make a blind purchase? We understand that for most people the demanding nature of a project such as this is not easy nor cost effective to make a go at it alone. We wanted to bridge that gap by laying out as much raw data as possible. Our goal wasn’t to tell you what ammo you should use but rather show you as many different loads side-by-side so you could make the best decision for your needs. 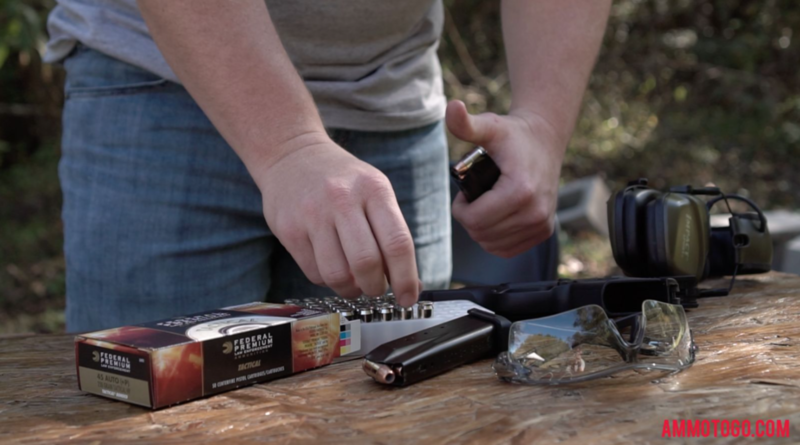 There are many different variables to take into account when testing self defense ammunition. Ammo that performs well out of one pistol may function poorly when fired from a handgun of a different size or make. Finding the ammo that works best with your handgun and meets your personal needs is what matters most. That’s why it’s important you get real trigger time with the ammo you’re potentially going to trust your life to. For this project we followed many of the guidelines the FBI uses as testing requirements for their own duty ammunition. This helped us measure performance standards such as penetration depth, retained weight, and the expansion capabilities for each hollow point projectile. By analyzing the extensive data from our test you will be able to clearly see how each round performed under our test conditions. Whether you’re just getting into shooting or if you’ve been around firearms your entire life, we think everyone will be able take away some new and useful information from the test result. The FBI test protocol runs through a full cycle of eight test events. Each event is designed to test a hollow point bullet by shooting the ammo through barriers such as wallboard, steel, and auto glass before penetrating ballistic gelatin. The ammunition is then tested for velocity and accuracy. According to the FBI, the results are an assessment of a bullet’s ability to inflict effective wounds after defeating various intervening obstacles commonly present in law enforcement shootings . For our testing purposes we slightly deviated from the strict guidelines so that our results might reflect more of what a civilian may encounter in a self defense situation. We understand though that every defense situation is unique and we cannot just blindly group every shooting into a single category. With that in mind, our test focused more on one of the eight test events in which the ammunition penetrates heavy clothing prior to impacting the ballistic gelatin. While these guidelines are in no way an absolute set of rules for testing self defense ammo, they provide a great backbone to build off of. The FBI uses what’s called 10% Ordnance Gel as their test medium. 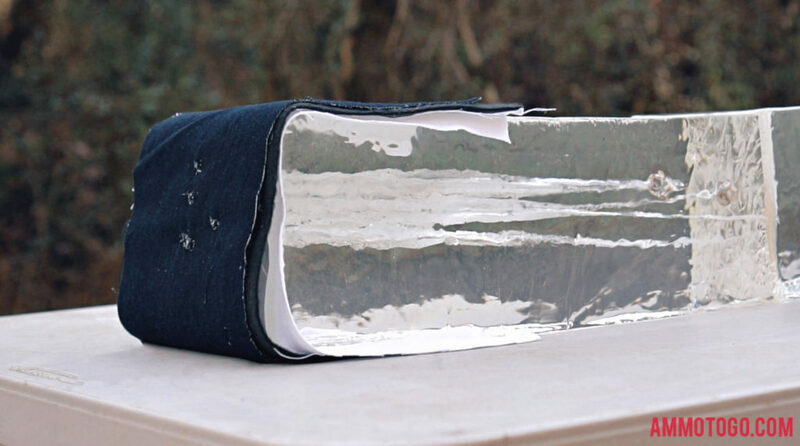 It is made of organic material, and is a massive hassle to deal with when testing ammunition. This makes storing the blocks for long periods of time difficult unless you have a commercial size freezer on hand. The blocks are also very opaque, making it hard to measure the damaging effects of the hollow point projectiles. 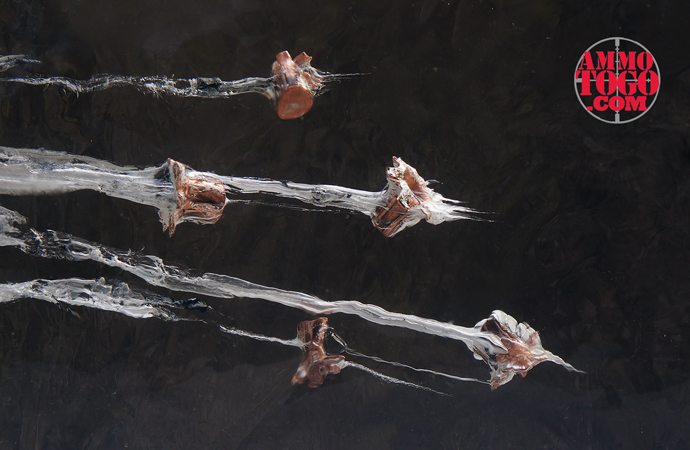 To avoid those hassles and have the opportunity to scale our project we used 10% clear ballistic gelatin material from Clear Ballistics to simulate living tissue. Each block used was six inches square by 16 inches long. Each block was calibrated for testing by Clear Ballistics prior to shipment. 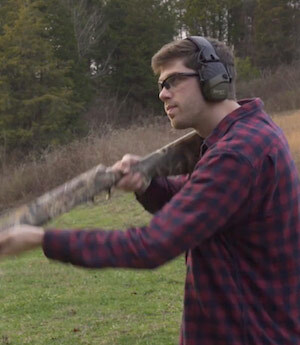 We fired each round included in our testing from a distance of ten feet, following the FBI standard, measuring from the muzzle to the front of the block. A round’s overall performance can be greatly affected by the material or barrier the bullet travels through before impacting a target. In real world defense situations you may find yourself dealing with a number of different barriers in between your firearm and the vital impact zone to take down a threat. This long list can be things such as other body parts, clothing, glass and a number of other obstacles that can alter the performance of a bullet. While you can expect to see a decline in bullet performance when testing with heavy barriers such as wallboard and glass, a soft cloth barrier can actually hinder performance of a projectile just as much. Clothing materials tend to cause real problems clogging up the hollow tip of some brands of ammunition. This can prevent the round from expanding, in return making it less effective at stopping a threat. Failure to expand due to hollow point tip clogging with clothing barrier – 9mm Speer Gold Dot 115gr. For our condensed version of the FBI test we opted to to simulate shooting through typical heavy cold weather clothing as our intermediate barrier. We placed the barrier in front of the gel, which consisted of one layer of Denim (14.4 ounces/yard), one layer of Polartec 200 fleece, one layer of cotton dress shirt (3.5 ounces/yard) and one layer of cotton T-shirt material (5.25 ounces/yard). Unless someone is trying to attack you on the beach it’s not all that uncommon to potentially encounter a threat wearing similar heavy clothing. Understanding how your self defense ammo performs when impacting this barrier can give you a leg up on a potential threat. 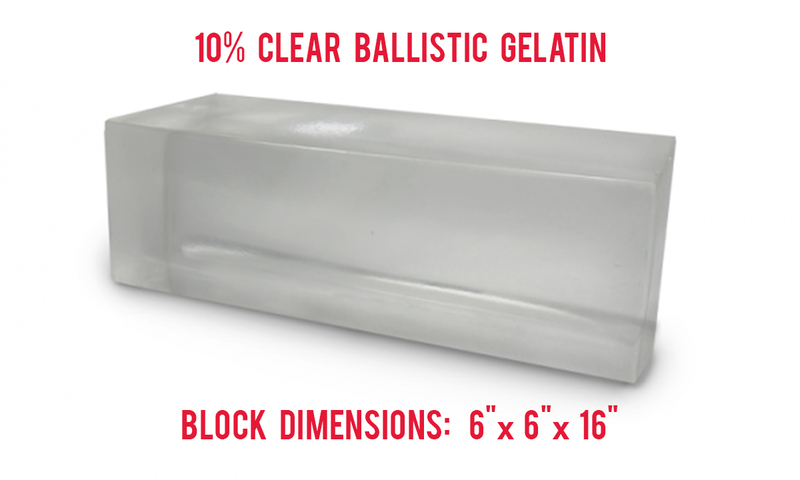 We fired all rounds tested at a distance of approximately ten feet from the front of the muzzle to the edge of the gelatin block’s fabric barrier. To meet the FBI penetration standard, a handgun bullet must consistently penetrate on average a minimum of 12 inches and a maximum or 18 inches into ballistics gelatin. This ideal penetration depth translates to reliable bullet performance to affect vital organs within a human target despite mitigating factors, such as angle of impact or intermediate barriers. According to the FBI Test Protocol, “Given minimum penetration, the only means of increasing wound effectiveness is to make the hole bigger. This increases the amount of vital tissue damaged, increases the chance of damaging vital tissue with a marginally placed shot, and increases the potential for quicker blood loss.”Along with barriers, many other factors help determine how far a bullet will penetrate a target; The velocity at which the projectile is traveling, the design of the bullet itself, even the rate of expansion will all help determine the penetration depth. A consistently expanding self defense round is an attackers worst enemy. When a hollow point projectile impacts a target, the hollow cavity causes the bullet to deform or “mushroom” resulting in greater internal damage to a living target after impact. The expansion of a HP bullet creates a large wound channel, leaving devastating effects.Rounds that have a better rate of expansion typically penetrate less than rounds that do not successfully expand. This explains why FMJ ammunition generally isn’t considered a great choice for self defense, no real expansion takes place. As far as successful expansion goes, a commonly used measurement is an expanded diameter at least 1.5 times the original diameter. This generally results in an adequate amount of expansion for a given caliber resulting in a “bigger hole” or wound cavity. The weight retention capabilities of a self defense round can help a bullet achieve outstanding performance or fail completely. If a projectile breaks apart upon impact to a target the loss of weight that occurs can result in a corresponding loss of power. Sure, shrapnel can be deadly long term, but the main goal of stopping a life threatening presence is to stop that target as soon as possible. One of the final steps in our testing process is to shoot the ammunition with a ballistic chronograph to measure the muzzle velocity of each projectile. The chronograph consists of two optical sensors that records the passage of the bullet over them. 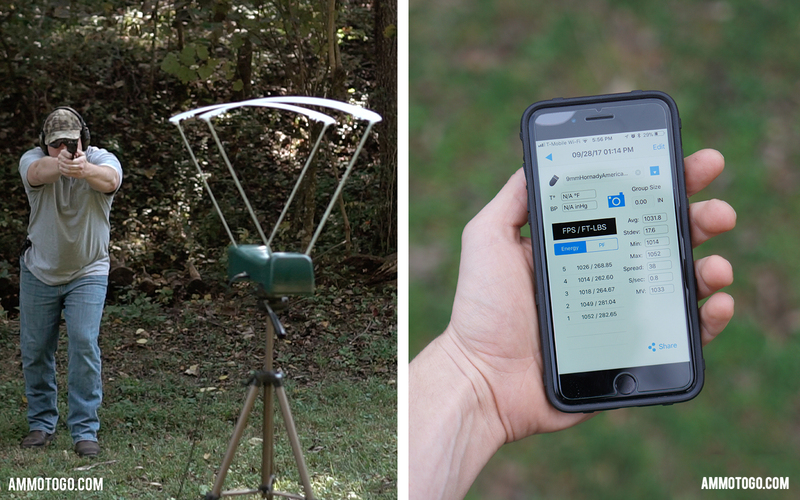 This helps us measure the muzzle velocity and muzzle energy of the ammunition being tested. All bullets behave differently at various speeds, so it is important to know the rate at which your handgun fires a certain brand of projectiles. The more consistently your self defense ammunition performs, the more reliable it is to you. This is another aspect of FBI protocol that we didn’t strictly adhere to. Instead of strictly using full size duty handguns we chose one firearm for each caliber that a civilian might be more likely to carry concealed. Our 357 magnum test results were obtained using a Smith & Wesson 640 J-Frame revolver with a 2.125″ barrel. Keep in mind that the length of your firearm barrel can have an effect on the velocity of a fired bullet. Generally speaking, the longer the barrel the greater velocity a round will have. In other words, just because one load appears to be perform as the best self defense ammo with one firearm or barrel length, it may not always be so effective. Takeaways – What’s the Best Self-Defense Ammo? Self defense ammunition can be looked at like an insurance policy. You want something reliable that you can depend on when you need it most. If you wouldn’t trust your home or car with a low quality insurance policy, why would you trust your life with ammunition that might not perform when needed? Always test your ammunition with your firearms to make sure it performs reliably. Like we mentioned earlier, each pistol is different, and a round that works well out of one may fail in another. It’s often hard to dismiss a brand completely just because it doesn’t perform as expected with a single handgun. Again, something that looks the best with one firearm may not be best in all pistols. For example, you may have a go-to ammo brand for your trusty 9mm handgun, but you’re wanting to make an upgrade to a larger .45 caliber pistol. Understanding how your favorite brand performs in a different caliber is key to making that transition. If the round fails to perform as needed, then making the switch to a larger caliber was in a sense pointless unless you’re willing to look at other ammo brands. One example of this scenario can be seen below. 9mm Speer Gold Dot 115gr. ammo appears to deliver overall poor performance when fired from our M&P Shield, but the 45 ACP Speer Gold Dot 230gr. ammo fired from our Ruger SR45 looked like a real winner. Carry ammunition that you feel comfortable shooting. You might like the idea of a +P round, where the extra velocity may help you in some cases, but if you don’t like the extra kick it produces it may not be the right round for you. Never stop educating yourself when it comes to your firearm and the ammunition you use and trust your life with. Remember, consistency is the key to good performance. On September 19, 2018 we added an additional caliber to our test results. On this date we added 22 different 357 Magnum loads to the project. Results in this batch documented while using a Smith & Wesson 640 J-Frame Revolver with a 2.125″ barrel. All other conditions for testing were identical to other tests. On March 27, 2018 we added an additional 16 loads to our test results. These results included one that we’ve been asked about a lot, Winchester’s Ranger T JHP. 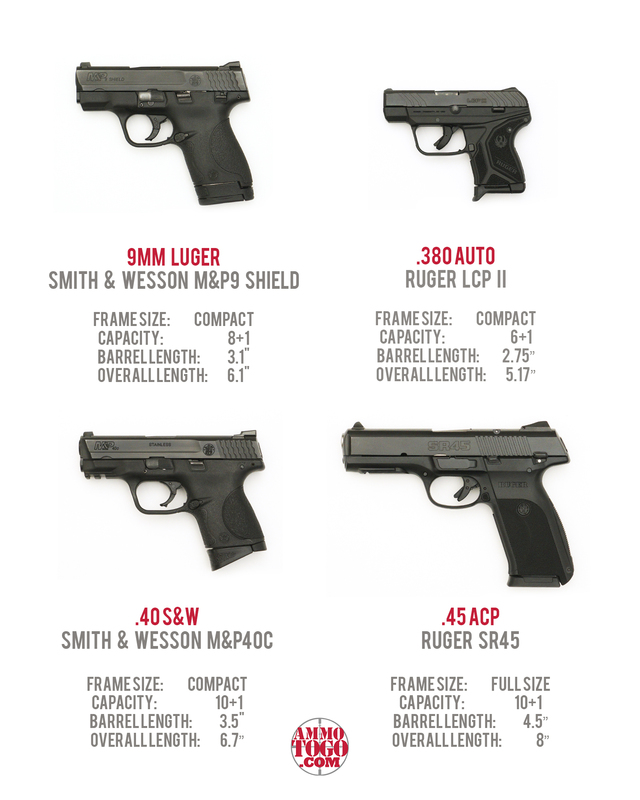 This update includes new test results in 9mm, 380, 40 S&W and 45 ACP. Let your fellow shooters know – share this article using the Facebook, Twitter and other social media icons below. The more we all know, the better organized and stronger the shooting and hunting community will be.